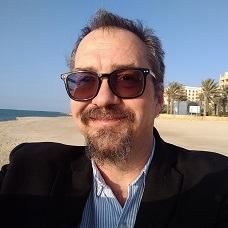 In 1998 Chris Fellows completed his PhD studies in free radical polymerisation kinetics at James Cook University in Townsville, North Queensland, under the supervision of A/Prof Ernie Senogles. Chris Fellows moved to the University of Sydney after graduation to begin work on a project funded by the Sugar Research and Development Corporation on the development of novel flocculants and anti-scalants for use in sugar milling. He then joined the Key Centre for Polymers and Colloids at the University of Sydney as Scientific Projects and Education Officer, working in emulsion polymerisation and related areas. In 2000 Chris Fellows was appointed as Lecturer in Hydrocolloids in the School of Chemistry at the University of Sydney. During this fixed-term position his involvement in teaching molecular biotechnology led to an interest in applying the techniques and products of free-radical polymerisation to biological systems. Chris Fellows joined the University of New England in 2004, beginning his career as an independent academic, and was promoted to Senior Lecturer in 2008 and Associate Professor in 2015. He is currently working on a number of collaborative projects in areas related to free-radical polymerisation, application of water-soluble polymers as scale inhibitors, practical problems in surface and interface behaviour, and polymer structure/property relations. Chris Fellows teaches into the Chemistry program at all levels, primarily in Physical and Organic Chemistry, but is interested in all facets of science education, including outreach to primary and secondary schools. A. A. Al-Hamzah, A. D. Wallace, C. P. East, W. O. S. Doherty, E. J. Smith and C. M. Fellows, Inhibition by Poly(Acrylic Acid) and Morphological Changes in Calcium Carbonate and Calcium Carbonate/Calcium Sulfate Crystallization on Silica Fibers, Ind. Eng. Chem. Res., 53(21), pp. 8793–8803, 2014. N. Aravind, M. Sissons, C. M. Fellows, J. Blazek and E. P. Gilbert, Optimisation of resistant starch II and III levels in durum wheat pasta to reduce in vitro digestibility while maintaining processing and sensory characteristics, Food Chemistry, 36, pp. 1100-1109, 2013. C. M. Fellows, R. D. Murison and G. T. Russell, Model Discrimination of Radical Desorption Kinetics in Emulsion Polymerisation, Macromolecular Theory and Simulations, 20(6), pp. 425-432, 2011. C. P. East, A. D. Wallace, A. Al-Hamzah, W. O. S. Doherty and C. M. Fellows, Effect of Poly(acrylic acid) Molecular Mass and End-group Functionality on Calcium Oxalate Crystal Morphology and Growth , J. Appl. Polym. Sci., 115(4), pp. 2127-2135, 2010. C. M. Fellows and G. A. Thomas, Determination of bound and unbound water in dental alginate irreversible hydrocolloid by nuclear magnetic resonance spectroscopy, Dental Materials, 25, pp. 486-493, 2009. D. F. Sangster, J. Feldthusen, J. Strauch and C. M. Fellows, Measurement of Transfer Coefficients to Monomer for n-Butyl Methacrylate by Molecular Weight Distributions from Emulsion Polymerization, Macromolecular Chemistry and Physics, 209 (15), pp. 1523-1537, 2008. He is actively involved in the International Union of Pure and Applied Chemistry (IUPAC), being a member of the IUPAC Committee on Chemical Education and secretary of the Subcommittee on Polymer Education.